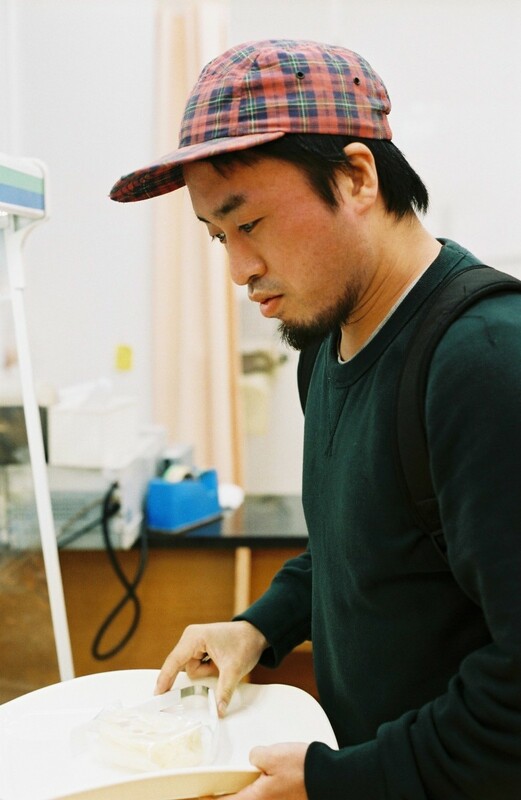 Takahide Higuchi is a Japanese experimental musician based in Yokohama. 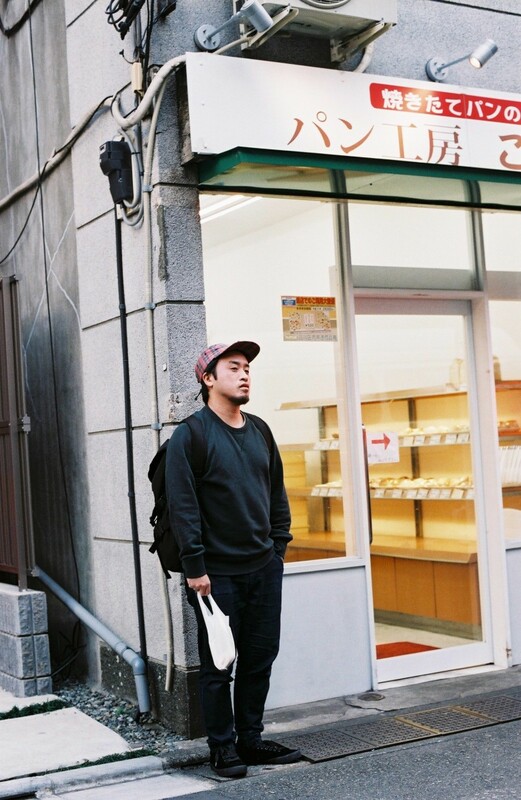 He grew up in Nagoya with his mother and father, who owned a yakitori shop. 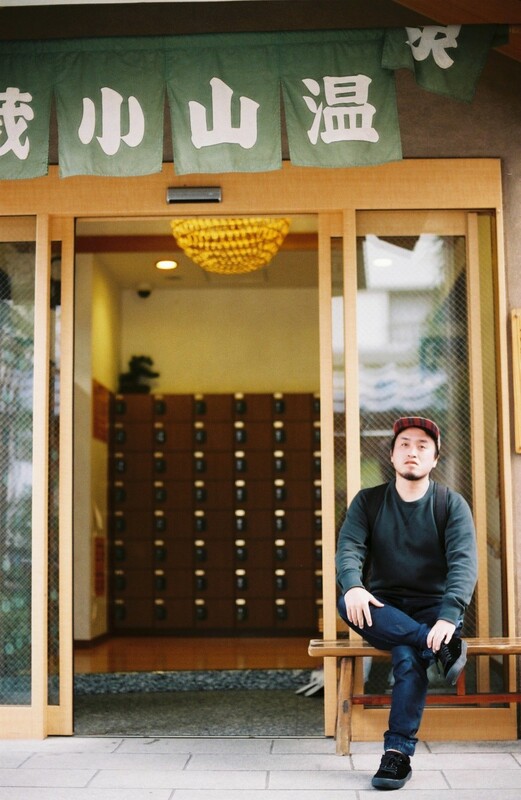 His childhood was not musical – his favourite activities were camping, fishing, playing video games and reading mangas – but in his late teenage years, one pivotal moment would completely shift his perception about music-making. 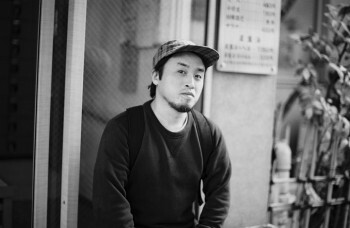 Takahide, who goes by foodman or 食品まつり (shokuhin matsuri, literally meaning ‘food festival’ in Japanese) has had a fairly slow-burning career – while he began making music at the age of eighteen, he took twelve years before releasing his first track. 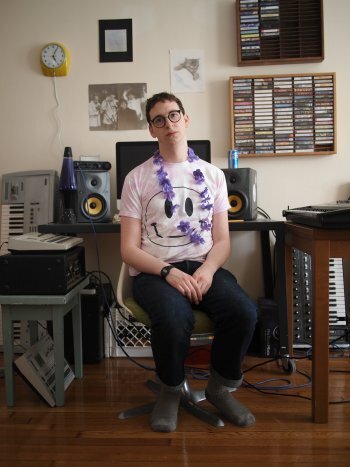 Lately, he’s experienced a level of success which would have been unimaginable to him not so long ago: he now has his own monthly show on London-based online radio station NTS, has performed for Boiler Room in New York, and has released on independent label Orange Milk Records as well as on Good Enuff, a label spearheaded by Diplo. In this interview, foodman shares the logic behind his seemingly illogical music, and we get to know the humble, easygoing and open-minded man behind one of Pitchfork’s favourite experimental albums of 2016. Since I was little, I’ve always enjoyed reading and drawing mangas, playing video games 1 and going fishing. I also liked going camping and riding my bike. I basically liked everything related to adventure and fantasy, and I’d spend my days doing that kind of stuff until my last year at high school. My dad is from Nagoya 2 so that’s where we lived, but as my mum is from Ishigaki Island, 3 I used to go there quite a lot too. My family wasn’t really interested in music or art, and nor was I. I didn’t even have a CD player at home. I only listened to music through video games and a tiny bit through TV, so I never really thought of buying a CD for myself. My turning point was during winter in my last year at high school, when I bought a PlayStation game called DEPTH. 4 It’s tricky to explain but in this game, you control a dolphin that’s swimming around in the ocean and once you clear a level, you win some audio material. Then, once you have enough material, you can basically go into another mode to make some kind of club music. It was so fun because you can make music really easily, and it gradually made me realise how fun it is! Did you then start making music after high school? How did you begin? I started just before graduating high school. I began to feel like I wanted to do it more seriously so all of a sudden I started reading magazines about making music. At the beginning, I had no clue about anything but I kept on reading around, thinking that I was getting it all &ast;laughs&ast;. Once I had a sense of what I needed to make some tracks, I worked part-time to save enough money to buy a sampler and a radio-cassette recorder. Does that mean you’ve never really studied music? I don’t have any music education at all. I can’t even read music. In terms of instruments, I can only play the ukulele and the drums, a bit. I’m not really a proper musician, I just go with the flow. 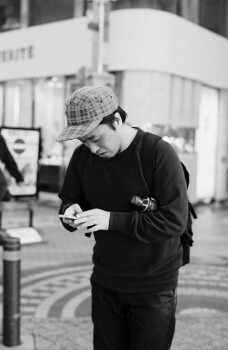 The little I do know about music comes from my days playing on the street in Nagoya after graduating high school. Every weekend, me and some friends who were in bands would take a generator onto the streets, drink, and play drums, other percussion and guitar. We would often have rap battles with random drunk people or foreigners passing by. 5 It was kind of a chaotic period, but I did learn a lot from back then even if it wasn’t technical knowledge – I was just playing around with sounds. You’ve said that you often just go with the flow when you’re on stage, which reminds me of your performance earlier this year in Copenhagen. 6 Instead of a musician playing tracks, it felt closer to performance art. Thanks a lot. My practice might actually be more artistic than musical – I feel like I’m making art, using audio as material. 7 To be honest, I do see myself as more of an artist than a musician, even though I haven’t seriously studied art or anything. I’m probably just a mediocre self-proclaimed artist &ast;laughs&ast;. When I’m making music, I’m not thinking of a particular message, but I guess if there was one it would be about showing people how fun it is to make music. Is there a certain message that you’re trying to put across in your work? When I’m making music, I’m not thinking of a particular message, but I guess if there was one it would be about showing people how fun it is to make music. I guess that my last album, Ez Minzoku, 8 would be about the fun of creating your own world out of nothing. I feel like the fun that comes across in your music is very positive for us listeners, and it seems very natural. With some artists you can get the feeling that they’re working so hard but also curating an image which is almost artificial. It can be quite damaging. Do you ever reflect on this? Thanks so much for your opinion! I actually really admire people who work very stoically but I’m just not serious enough as a person to be that way myself. Of course I do work really hard sometimes, but I’m mostly very laid back and I just end up taking an attitude of “things will work out” &ast;laughs&ast;. In a way, I’m quite irresponsible with my sounds – but that in itself could be a style like any other. You have a really strong online following. As the internet lacks that element of human interaction, do you ever wonder if it’s not the best medium to get your message of fun and positivity across? I upload a lot of songs on Soundcloud and what I make is neither dance music nor academic, experimental music so people probably think “he’s just having some fun” &ast;laughs&ast;. I got a message on there once from someone in the States telling me “I love your work because you seem to have so much fun!” which made me really happy. I’m really grateful for the internet. The kind of music I make is quite underground, and even in the underground scene, I think it’s a type of music where it’s not that easy to find like-minded friends. That’s why I found it really hard to understand what kind of people my music would appeal to, but thanks to Soundcloud, I was able to find out. Realising that so many people around the world share my interests made me really happy. They might have always been around, but without the internet, it was pretty hard to find people who liked my music. That’s why I was particularly happy when labels from Japan and overseas released my songs online. With Soundcloud and Twitter, I’ve found a space where I feel like I can be myself – it’s like a whole new world! I get the impression that you’re quite inspired by the things you encounter in your everyday life. Would you say that’s the case? Yes. I really enjoy making songs out of my surroundings, and I actually also find it easier to write music that way. I’m often inspired by elements of fantasy, but the songs that end up seeing the light of day are mostly rooted in my daily life. It’s as though I don’t have the desire or ability to make things that are exaggerated or fantastical, so I have this habit of creating songs in quite a linear way, out of things that happen every day. For example, I can get inspired by the noises that I make when I wash the dishes, or by the sounds coming from the TV. I want to make music out of these fun little moments in our daily lives. (…) I’d rather make music about something tiny that I can relate to, than about a very big topic. That points back to what you said earlier – you seem like you’re having so much fun. That’s exactly it! I want to make music out of these fun little moments in our daily lives. I also often think that I prefer things on a micro scale to the larger things in life. I love small drawings and miniature objects and this applies to music, too – I’ve been trying to make music that feels miniature. I really value those psychedelic feelings that you can sometimes get from small things, like totally forgetting yourself while taking a bath because it feels so good, or while you’re eating curry at home because it’s way too good. 9 I want to transpose what I feel at those moments into music. I’d rather make music about something tiny that I can relate to, than about a very big topic. I’ve seen a picture you posted on Instagram where you’re recording live in a sentō. 10 Is that an example of a ‘tiny’ topic? I’ve just always loved the sentō, since I was little. Similarly to how people go out drinking regularly, when I was young I used to go to the sentō with my friends from my home town. That’s why, since way back, the sentō is where I go to have fun. It’s like going to an izakaya 11 to me, it’s part of my daily routine, so I often make music about it – the sounds you can hear and the music that you can listen to at the sentō or the super sentō 12 become my material. Because of this, I sometimes record live from there, so that I can transform that atmosphere into music. Perhaps the way that I’m inspired by the sentō is quite similar to how some artists from other countries write about how weed makes them feel &ast;laughs&ast;. Which of your songs are inspired by your frequent visits to the sentō? ‘AWA BURO’ is one! 13 When I lived in Nagoya, there was this super sentō I often used to go to, with such a good jacuzzi. They even had speakers on the ceiling, they used to play easy listening 14 music in there. That jacuzzi and the music fit so well together that I made a song out of it as soon as I went home. 15 This really illustrates how my ideas often emerge from everyday things that make me feel good. Shortly after I started uploading my songs to Soundcloud in 2012, a US site, Tiny Mix Tapes, suddenly featured me as a Japan-based footwork producer. 17 Then Keith 18 from Orange Milk Records invited me to release on their label. If they hadn’t have discovered and then released my music, I wouldn’t have been able to go and play abroad and my music wouldn’t have reached so many countries, so I’m really thankful to them! As you just mentioned, in the past year, you’ve had the opportunity to travel abroad quite a lot to perform. What has that experience been like for you? Last year was the first time that I went outside of Japan, and since then, I’ve travelled a bit more for my tour. 19 From these trips, I’ve become more conscious about the things which are a part of my life here in Japan, like the sounds I hear everyday. It’s hard to describe, but thanks to this experience, I’ve realised how strange the country I live in is – Japan is chaotic, yet it has many minimalistic aspects. Having said that, I don’t think this experience has had an impact on my style and work in general, as it’s not really ‘me’ to purposely make my music sound more Japanese. Your travel schedule doesn’t look like it will slow down anytime soon, and you’ve also started selling some of your own artwork. What do you see yourself doing in the future? I’ll keep playing gigs abroad as long as people want me to. I’m not going to adapt what I do to any one country, I’m just going to keep on doing what I do, with the same attitude. As for my art, I would love to do some kind of exhibition putting together my music and my artwork. I’m actually planning to go in this direction for my next album. I’ve started painting and drawing again recently 20 and I’m thinking it would be nice to bring my work on tour. After all, I’m best at expressing what I think through music and art together, so I’d love to combine the two for my next project. foodman added that while he used to play many different video games, from puzzle to action games, Final Fantasy is the one that most influenced him – “Final Fantasy 6 is almost my life bible, it shaped my values. At one point I literally couldn’t stop thinking about Final Fantasy all day and all night long.” See below for some battle scenes from the game. DEPTH, known in the UK and US as FLUID, is a video game released on the first PlayStation in December 1996. As foodman explained, the concept of the game is kind of vague – sold as an “Interactive Sound Lab”, it lets the player make dance and electronic music while controlling a dolphin. For this reason, the Japanese online community often describes it as a ‘non-game’, as it doesn’t have a concrete objective. You can give it a go on more recent incarnations of the PlayStation, as it has been released on the PlayStation Store. Another artist who blurs the line between music and art is Jerry Paper, a good friend of the singer-songwriter Mac Demarco and who, like foodman, has released on Orange Milk Records. His live shows border on performance art, as you can see from the video below. His style has been highly influenced by his interest in religious rituals and what he calls “mystical experiences”. 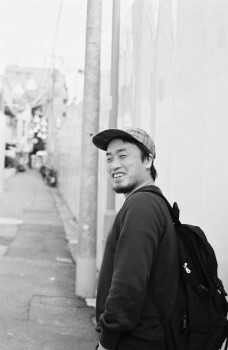 To find out more, check out his interviews with the Fader and Adhoc. Japanese bath houses are known as sentō. Although they’re not very well known outside of Japan, sentō have a long history dating back to the thirteenth century. 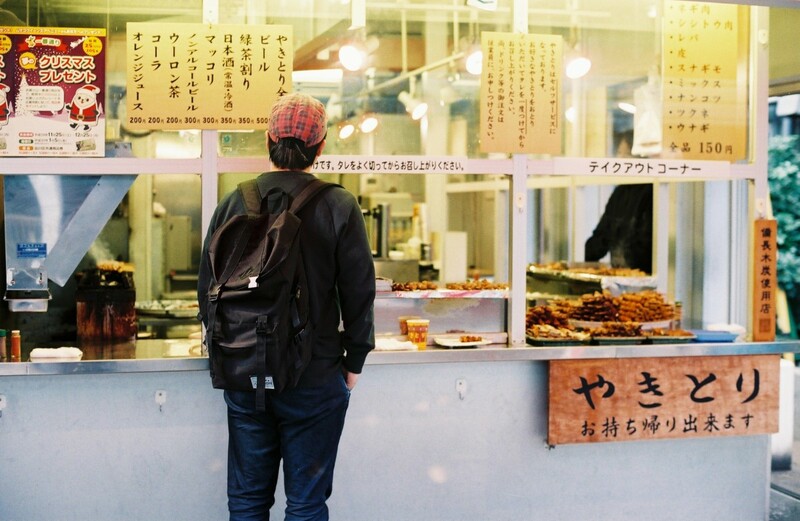 Today, while sentō are becoming rarer since most people have their own shower or bath at home, many people, like foodman, still have a strong attachment to sentō culture and continue to visit frequently. Most sentō have a similar layout (you can find a typical floor plan here) and all have a large mural of Mount Fuji in the main room. See below for a short video on the life of a sentō mural artist. 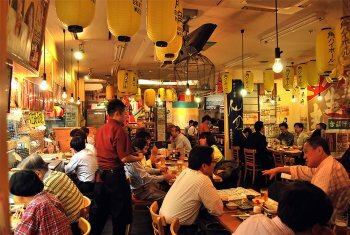 Izakaya are best described as Japanese-style pubs. Izakaya serve not only drinks but also a wide range of Japanese dishes which are shared between diners. See below for a fairly comprehensive documentary made by the NHK (Japan’s public broadcasting company) explaining izakaya and showing the kind of social interactions that take place there. 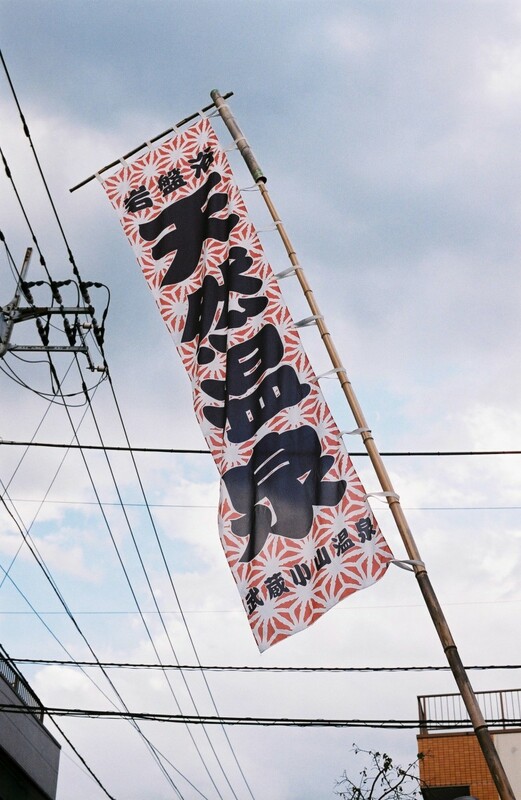 Super sentō are a relatively new addition to the Japanese cultural landscape, emerging in the 1980s as a response to the decline of the traditional sentō. Super sentō offer, as well as the typical bath, jacuzzis, saunas and dining options. Some even include a gym, massage parlours or hairdressers. While they offer a wider range of services, super sentō have a more modern ambiance and lack the authenticity of traditional sentō. Easy listening, also known as mood music, is a genre where pop songs are stripped of blues or jazz influences, privileging an orchestral, ‘fifties’ sound and focusing on melody and arrangement. Percy Faith is often recognised as the musician who popularised easy listening – listen to his track ‘Yellow Days’, released in 1967, below. Orange Milk Records is an independent online label, co-founded by Keith Rankin and Seth Graham in 2010. Named by FACT Magazine as one of the best record labels of 2016, Orange Milk has a roster of artists from all over the world and focuses on experimental music without subscribing to any one style, bringing together “Diamond Soul’s chaotic footwork, Euglossine’s psychedelic easy-listening and gorgeous plunderphonics from M Sage” as FACT puts it. 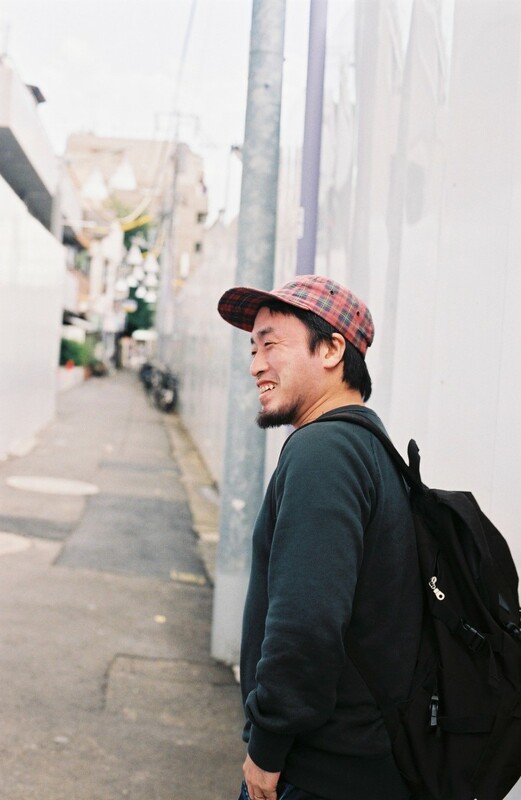 Orange Milk Records has a special relationship with Japan, as not only did Graham spend his childhood there but the label is also home to many Japanese musicians – from foodman, Ventla and mus.hiba to DJ Fulltono, CVN, DJWWWW and toiret status. 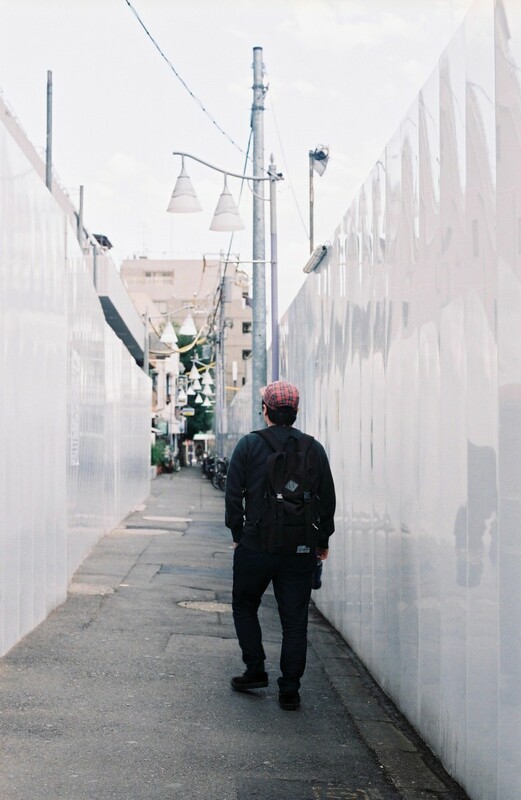 Read more about Orange Milk’s relationship with Japan on Bandcamp, and find out more about their story in general from Dummy Magazine. While he’s not a Japanese artist, our favourite release from the label is Diamonds in the Microwave from Honnda — you can listen to it below. Orange Milk Records is also famous for its breathtaking cover art, by co-founder Keith Rankin. Cited by Pitchfork as one of their “5 Tape Labels That Get Graphics Right”, Rankin’s illustrations combine “surrealism and ’70s airbrush art with sci-fi touches.” Rankin is extremely multi-talented — he also makes music under the name of Giant Claw, and he recently released his new album, Soft Channel, with Orange Milk. You can listen to it below.